It’s October and Pink is in the Air at Lester Glenn Auto Group! It’s officially October…and like everyone else, we’re pretty excited! Between spooky Halloween decorations, cooler weather and the Fall foliage, it’s hard to find a downside to this time of year. While all of those things are festive and fun, we’re most excited for Breast Cancer Awareness Month! If you’ve been with us for awhile, you know it’s a big deal at Lester Glenn Auto Group. 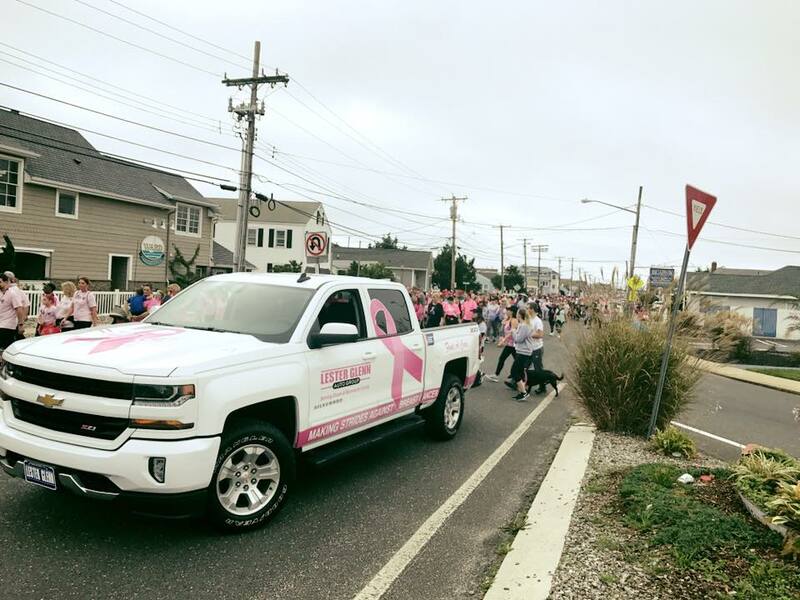 From a month-long fundraising campaign to proudly leading the Making Strides Against Breast Cancer Walk in Point Pleasant, we don’t take October lightly! Beginning on October 1st, as a way to jump start our efforts, Lester Glenn Auto Group will be donating $5 for every new “like” and “follow” we receive on Facebook and Instagram throughout the entire month. All proceeds will benefit Making Strides Against Breast Cancer of Point Pleasant, NJ to help fund groundbreaking breast cancer research. It’s a fun and easy way for our community to help us support the cause and it certainly wouldn’t be possible without the help of our loyal customers and friends! In addition to our social media campaign, Lester Glenn Auto Group will also have two company-wide dress down days on October 19th and 20th. For a $10 donation, participating employees will be able to wear jeans and our exclusive breast cancer awareness t-shirts to work. It’s a very highly anticipated event throughout our dealership and our employees look forward to it every year – and for good reason! In addition to supporting a truly wonderful cause, it helps create a sense of solidarity among our team and further communicates Lester Glenn’s dedication to our community. Additionally, on Saturday, October 20th, Lester Glenn Auto Group will be donating $100 for every car sold throughout the day. Last year we sold roughly 70 cars…can we make it to 80 this year? 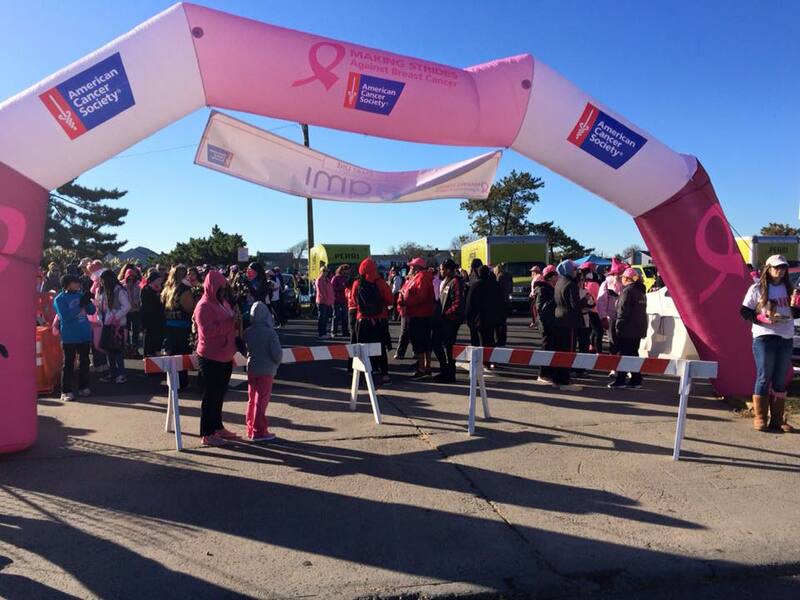 To top it all off, on Sunday, October 22nd, Lester Glenn Auto Group will lead the official Making Strides Against Breast Cancer Walk in Point Pleasant, New Jersey! We’ll be driving a specially designed Chevrolet Silverado…so we’ll be hard to miss! This special day brings together hundreds of survivors and advocates for a walk to show our unity, pride and unilateral support for the cause. It’s both a humbling and uplifting experience and one we look forward to every year. Every year, survivors, patients and caregivers alike come together to celebrate the strength and hope of all of those who have endured the battle of breast cancer. All of the money raised by participants goes toward breast cancer research, education and critical patient services. The American Cancer Society has been helping those affected by cancer for years and 500 lives are saved every day because of donations. None of these life-saving efforts would be possible without the help and support of the community. We hope you’ll join us in our efforts this year, whether you choose to “like” our Facebook page, buy a new car or show up at the walk. When we work together, anything is possible. The Lester Glenn Auto Group 7th Annual Truck Show Kicks off on October 5th!